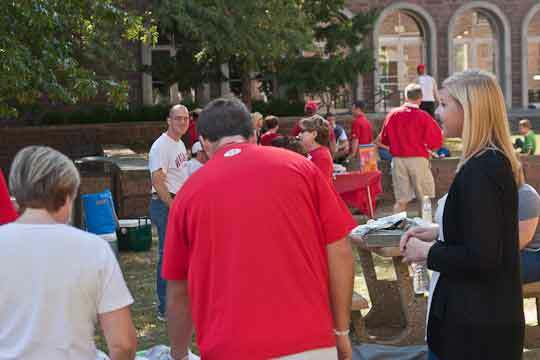 The St. Louis Association of Wabash Men held a Wabash weekend this past weekend with a fun tailgate before the football game on Saturday and a WABASH (Wabash Alumni Benefiting and Serving Humanity) Day project on Sunday. The only blip in the entire weekend was the loss to Washington University in a good football game. Thanks to the efforts of Gary Zack ’76, the Wabash fans had a nice area for the tailgate at Fontbonne University, where Gary is a Vice President. A shady area with plenty of parking really helped on the unusually warm October day. Jim Dyer ’83, who is the president of the St. Louis, organized a good turnout. Carol Runge, wife of Tom Runge in Alumni Relations, put together a lunch of pulled pork and chicken with plenty of extras. A good time was had by all. On Sunday, The St. Louis group teamed with Gateway Gardening, a non-profit organization that works to educate neighborhood residents on healthy eating habits. 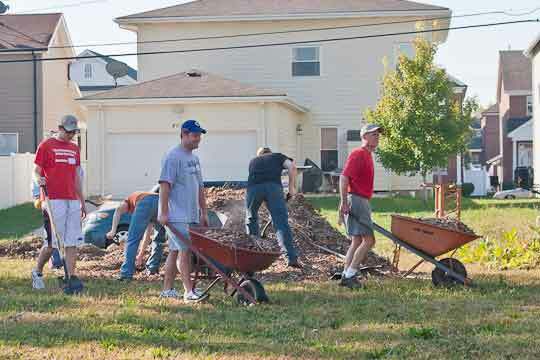 Their WABASH Day project was to clean up and winterize an intercity vegetable garden. 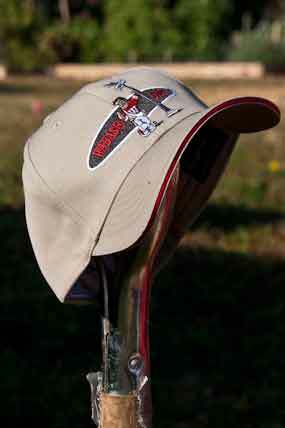 The St. Louis guys and several spouses went much further, though, in a Wabash Always Fights style. They added several yards of mulch to the garden and prepared planting areas for 18 new fruit trees. The project really added to this prospering neighborhood. Many thanks go to Jim Dyer '83 for his leadership. For a few more photos of the St. Louis weekend, click here.